Livonia Pella Windows | Livonia Pella Window Replacement | Livonia Pella Wood Windows | Livonia Pella Fiberglass Windows | Livonia PellaMcGlinch & Sons CO. When you are searching for someone to install new windows into your home, you are going to seek out a company that has been serving the Greater Detroit Metropolitan Area and Southern Michigan for over 97 years and that company is, McGlinch & Sons Co. Home Improvements! As a well-appreciated, family-owned and operated business that maintains only the utmost standards and customer approval, we are proud to carry the Pella windows brand. 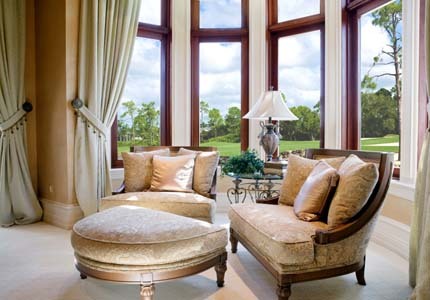 When our clientele select Pella windows, they recognize that they are getting an extremely valued product. Additionally, they also know that with McGlinch & Sons they will be given the premium in installation and customer service. Our Pella windows are constructed to endure even the roughest weather conditions. So whether our customers choose Pella wood windows or Pella fiberglass windows, they will notice how Pella window replacements supply the striking details that clearly distinguish them from the competition! The residents of Livonia who have had McGlinch & Sons install Pella windows in their homes, are pleased with the energy efficiency of up to 74% they now receive with their new Pella windows! Livonia is a city in the northwest part of Wayne County, Michigan and is a very large suburb. Livonia has an array of traditional neighborhoods connected to the metropolitan area by freeways. With a population of nearly 97,000 people makes it Michigan’s 9th largest municipality! With the population being so large there’s no wonder why the homeowners of Livonia search for Pella windows and come across McGlinch & Sons! That’s because our Pella window installers have been in this business since 1917 and we are the best Pella windows company Livonia homeowners can confide in. It can be a difficult task to find the premium window installers that our Livonia customers can trust, but they did and we work with their budgets! McGlinch & Sons has built our Pella windows business on truthfulness, honesty and fairness and these characteristics are used every day in the field. Our customers understand that we will always do our best to give them the services that they need! McGlinch & Sons has the Pella window replacement products to enhance the look and feel of your home. And that’s why we offer a selection of both interior and exterior designs and colors that will go with your home flawlessly. In any case, we carry the following types of Pella windows that can go along with your homes style: Double Hung; Sliding; Casement; Awning; Single Hung; Bay & Bow; Specialty and Special Shapes. You can put your faith in the Pella window products at McGlinch & Sons that will bring out the beauty, value and curb appeal of your home. If you would like to gain knowledge of our Pella window replacement products or any of our other home improvement supplies, give McGlinch & Sons a ring: Oakland: (248) 987-6300, West Side: (313) 278-2777, or East Side: (586) 776-8912. The only name you need to be familiar with when it comes to Pella windows is, McGlinch & Sons Co. Home Improvements!